This is one of our most favorite light-up toys! The lighting effects that it produces are truly mind-blowing. The sword flashes bright with multi-colored effects inside the soft sword's tube, while the prismatic globe creates dazzling effects all around you - on the walls, on the sealing, and everything else around you. 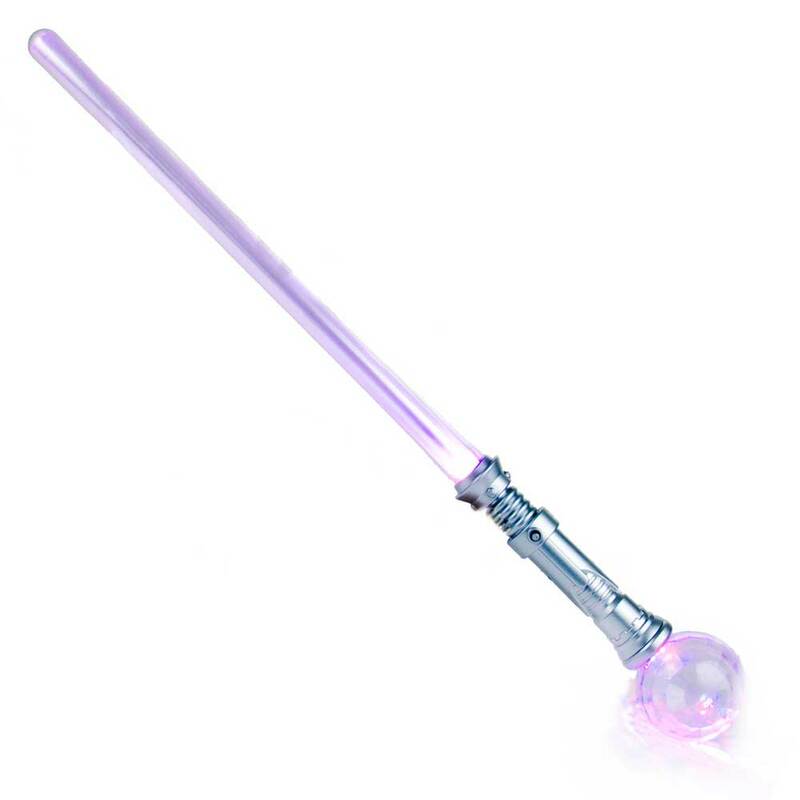 Lights shimmer when you swing the sword with a choice of three animated modes. Great asset for your roll-playing games and parties. A favorite at raves, concerts and parties. Everyone will go nuts over these. There are three settings for the Flashing LED Lights, activated by pressing the button on the handle. 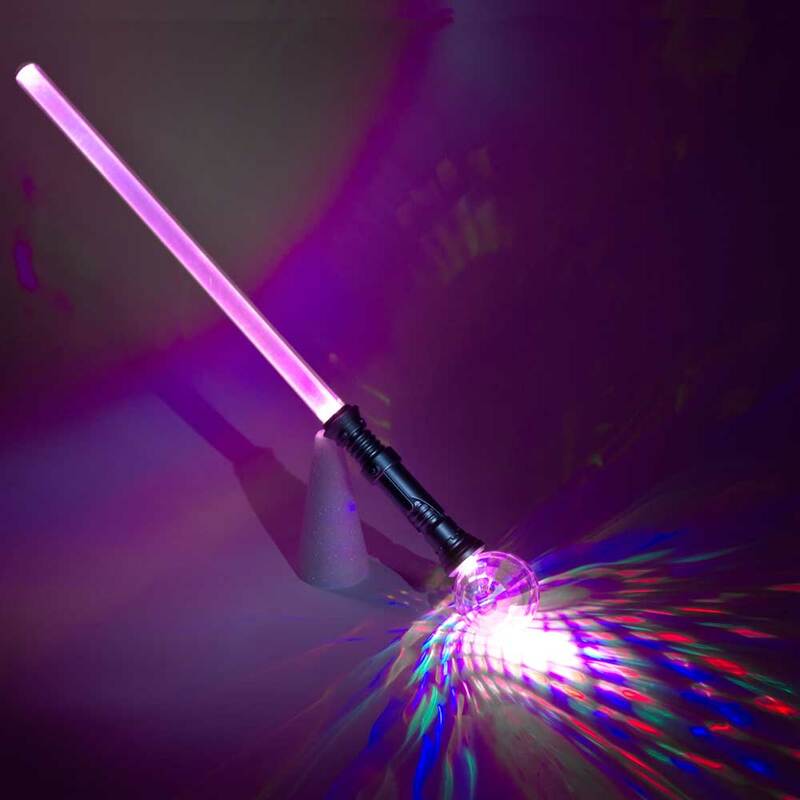 Multicolor LED Swords make great gifts, costume additions and party favors!